How to prevent frozen and burst water Pipes in Your Home or Business? How To Prevent Frozen and Burst Pipes? Home/Uncategorized/How To Prevent Frozen and Burst Pipes? I want to share some tips with you that will help you save some dollars. As you probably notice the weather in Louisville KY is going up and down and what it will happen is that in a few days temperatures will get very low than many water lines will get frozen. Keeping your water lines from getting frozen and bursting is not easy but here are some tips. Lets keep you away from a water damage restoration situation. Here are a few things you can do to prevent this frozen water lines from bursting in your home or building.First step is to go down to your basement and look for the main valve that turn the water off that goes to your outside faucets. The reason you want to do this, it’s because when your faucet gets and pipe got frozen this ice will keep running inside all way thought and the damage will be bigger. By having this water line with not water there is not water to get frozen and swell up. Most of the time you won’t notice you have a burst pipe until temperature goes up than ice melts down and turns into liquid water and you will see several hundreds of gallons of water. Second will be to have a faucet cover put on your outside faucet. This cover can be found at Home depot, Lowes, Amazon and some other places.Putting the cover is very simple. Inside the cover you will find a plastic line going through the cover and inside it will have a loop that goes onto the faucet. You hook this up and the you pull it tight from the outside of the cover. When you see, you will see how easy is to put it on. Having this cover will stop the cool wind from freezing your water line. It keeps the cool away. This cover works amazing but remember is the temperature gets very low there is a good chance your faucet will get frozen. We don’t guarantee you water lines from getting frozen. For a better application and tips, you should call your local plumber. Despite all this disclaimer I just said. I want you to know I highly recommend putting one on your faucets because it is what I use at home. I don’t want to deal with my own water damage restoration situation and less having a water damage claim. Third recommendation will be to insulate your water lines with foam. You can find this foam at the same places you find your cover. Home Depot , Lowes, Amazon.This foam is made to prevent condensation but it works amazing on preventing your pipes from getting frozen. In my personal situation have to use this insulation foam because I’m not able to turn the water off. Installing this foam is very easy, You just slider on. It’s already pre-cut. The bad part is when you have to insulate water lines in a crawlspace. Good Luck with that. You will get dirty. If you don’t want to do it you can call your local plumber. As home or business owner we are responsible for the maintenance of our place. The Most common cause for water damage claim in spring here in Louisville is burst water lines. Here is what you need to do to prevent this from happening to you. Turn water valve that feeds the water to the outside faucets. Put a faucet cover on your faucets. Insulate your water line with foam. If you don’t want to deal with this call your plumber to help you and if you have a water damage restoration Louisville situation that you need some assistances please don’t forget to call 502-365-667 Rodriguez Cleaning Services to assist you with your water damage claim. 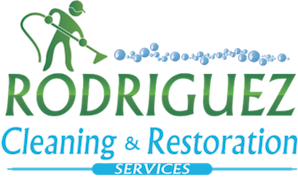 Rodriguez Cleaning Services is know for been a professional Carpet Cleaning and Area Rug Cleaning in Louisville but our technicians are certified in water damage plus we have the latest equipment and tools to assist you with any water damage you may have. Hopefully you will follow this tips and you won’t need us. Good Luck.